On July 25, FCHEA member Bloom Energy launched its Initial Public Offering (IPO) on the New York Stock Exchange (NYSE). Bloom's first day performance received significant coverage from Wall Street media outlets, and the company was featured on the NYSE's social media accounts. K.R. Sridhar, Bloom's CEO and Founder, rang the NYSE's opening bell on July 25. Sridhar was joined by former United States Secretary of State and retired four-star Army General Colin Powell, a member of Bloom's Board of Directors. According to the NYSE, Bloom is the first alternative energy IPO in the United States since 2016. For more information, click here for a Market Watch interview with Sridhar. On August 17, FCHEA member Plug Power held a grand opening ceremony for its new 38,400 square foot fuel cell manufacturing facility in Clifton Park, NY. According to Plug Power, the decision to open a second manufacturing facility was driven by strong top line revenue growth in its core fuel cell and hydrogen markets, along with performance-based tax credits through the Excelsior Jobs Program from New York State and Empire State Development. The grand opening was attended by United States Congressman Paul Tonko (NY-20), a long time champion of hydrogen and fuel cell technologies at the federal level. Congressman Tonko and Howard Zemsky, President and CEO of Empire State Development both praised Plug Power for their continued green energy and advanced manufacturing investment in New York's Capital Region. 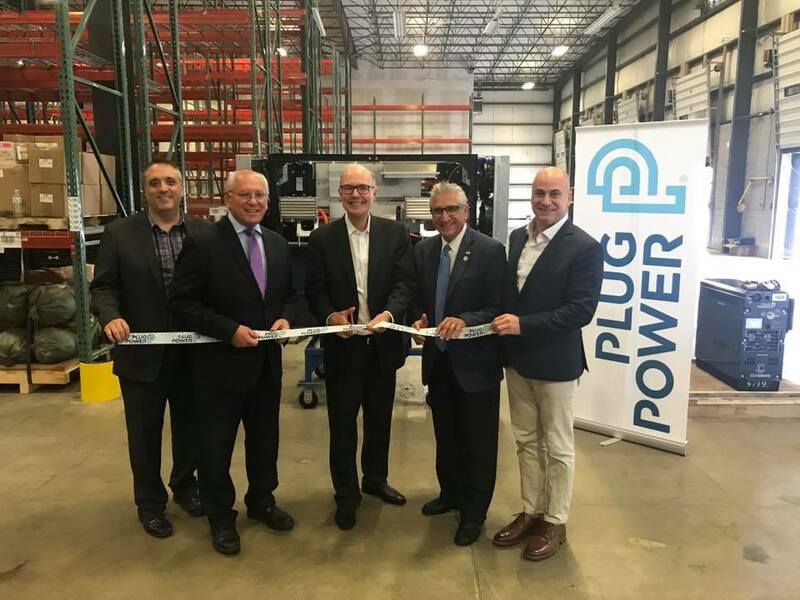 Plug Power CEO Andy Marsh (center) flanked by Congressman Tonko (left) and Howard Zemsky of Empire State Development (right) and other officials hold a ribbon cutting ceremony for Plug Power's Clifton Park facility. In an August 16 press release, New York Governor Andrew Cuomo and Lt. Governor Kathy Hochul lauded the opening of the Clifton Park facility, where Plug Power has committed to creating 97 new jobs. 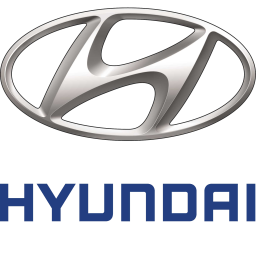 On July 29, South Korea’s Yonhap News Agency reported that FCHEA member Hyundai Motor Co. has sold 223 NEXO hydrogen fuel cell vehicles (FCVs) since the zero-emission crossover-SUV's launch earlier this year. The sales figures go from March through the end of June, and include 179 NEXOs sold in South Korea and 44 FCVs shipped abroad. NEXO sales are set to quickly outpace sales for Hyundai’s predecessor Tucson FCV, which sold 269 vehicles in global markets in 2015. The NEXO is expected to be available in the United States later this year. Click here for the full report from Yonhap News Agency. On July 30, FCHEA member Toyota USA announced Project Portal 2.0, the second iteration of its prototype hydrogen fuel cell-powered Class 8 truck, during the Center for Automotive Research Management Briefing Seminars in Michigan. Powered by two Mirai fuel cell vehicle stacks, the new zero-emissions truck known as "Beta" has a range of 300 miles per hydrogen fill, an increase of 100 miles over Toyota's "Alpha" fuel cell truck unveiled in April of 2017. The Beta truck will join its Alpha predecessor for drayage operations at the Ports of Los Angeles and Long Beach in California. According to Toyota, the Alpha truck has already logged nearly 10,000 miles of test and real-world drayage operations, with a gross combined weight capacity of 80,000 pounds. The second generation of Project Portal will further examine the technology's commercial viability, using lessons learned from the first year of the Alpha truck's test operations. On July 25, FCHEA member FuelCell Energy broke ground on the construction of a fuel cell microgrid for the U.S. Naval Submarine Base New London in Groton, Connecticut. The installation will comprise two of FuelCell Energy's SureSource 4000 power plants with total output of 7.4 MW, and will be located on the base to supply an existing electrical substation. FuelCell Energy will own and operate the microgrid under a 20 year power purchase agreement first announced in October of last year. Through this "pay-as-you-go" structure, electricity generated by the installation will be purchased by the Connecticut Municipal Electric Energy Cooperative (CMEEC), which in turn will provide the power to the U.S. Navy. 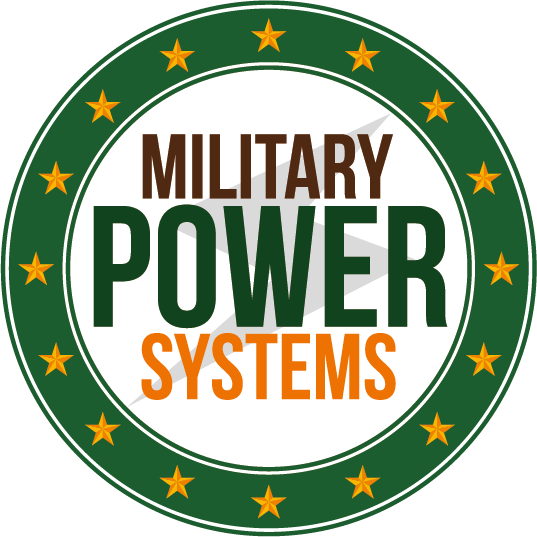 The fuel cell plant is part of a multifaceted plan by CMEEC to provide new power resources and support the desire of the Department of Defense to add resiliency and grid independence to key military installations. According to a CMEEC press release, the fuel cell facility is expected to be completed in the Spring of 2019. 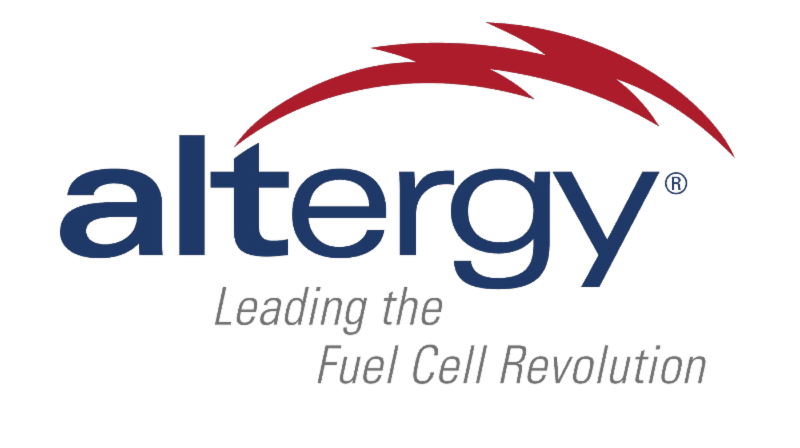 On July 20, FCHEA member Altergy announced the deployment of their fuel cell technology as part of Faith Technologies' clean energy microgrid at the Gordon Bubolz Nature Preserve in Appleton, Wisconsin. To power the 18,000-square-foot nature center building, the microgrid uses Altergy's 30 kW hydrogen fuel cell system, 200 kW of solar panels, a 100 kW lithium-ion battery storage system, a 65 kW micro-turbine, and a 60 kW natural gas generator. The Immersion Center at Gordon Bubolz Nature Preserve hosts the operations of the microgrid, and is open to the public. On August 21, Plug Power announced that all 182 electric forklifts at a recently-opened Walmart import distribution center (IDC) in Mobile, Alabama, will be powered by its GenDrive hydrogen fuel cells. The new storage and cross-dock facility will support more than 750 jobs, and supply several regional distribution centers that serve approximately 700 Walmart stores in Alabama, Mississippi, and beyond. Plug Power has an extensive history of supplying Walmart with fuel cell-powered forklifts at grocery and retail distribution centers around the country, and the Mobile facility marks their first entry into the IDC market. Click here for the full blog post from Plug Power. 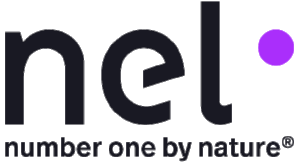 On August 22, FCHEA member Nel ASA announced that they will expand their electrolyzer manufacturing plant in Notodden, Norway, to have a name plate capacity of 360 MW per year, the largest of its kind in the world. The NOK 150 million (about $17.9 million) expansion will accommodate Nikola Motor's order for 448 electrolyzers to produce on-site hydrogen fuel. Nikola is developing an American network of hydrogen fueling stations for heavy duty-trucks and passenger vehicles. Under their contract with Nikola, Nel will deliver up to 1 gigawatt of electrolysis power, plus hydrogen fueling equipment. According to Nel, the Notodden facility expansion will begin later this year, and is expected to be completed in early 2020. On August 16, FCHEA member Doosan Fuel Cell announced the beginning of construction on a 50 MW hydrogen fuel cell power plant in South Korea for Daesan Green Energy, a joint venture power company formed by Korea East-West Power and Hanwha Energy. When completed, the Daesan Green Energy Fuel Cell Power Plant will be the world's largest by power capacity, and will be Doosan's largest fuel cell deployment since entering the market. According to Doosan, when construction completes in 2020, the fuel cell power plant will contribute 400,000 MWh of electricity annually, powering 160,000 local homes each year. The project will utilize hydrogen generated as a by-product of chemical processes in petrochemical complexes to power 114 of Doosan's fuel cell units. Click here for the full press release from Doosan Fuel Cell. In July, FCHEA member Air Liquide launched their H2 Station Finder app to help fuel cell vehicle (FCV) drivers locate and check the status of hydrogen refueling stations. Currently, the app has information on the 35 public hydrogen stations in California. According to Air Liquide, additional stations in the United States and Europe will be added later this year. By using the H2 Station Finder app, drivers can find the nearest hydrogen station, get directions to it, and view station details such as amenities offered. In addition, the app enables drivers to monitor how much carbon dioxide they have offset by driving their FCV. 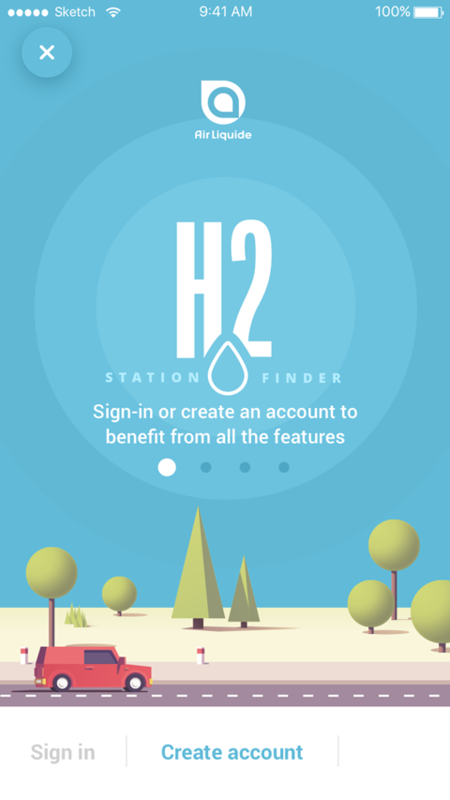 H2 Station Finder is available for free on via the iOS and Google Play App Stores. Click here for the full article from gasworld. On August 13, the Port of Long Beach approved permitting plans for Toyota Logistics Services to construct the world's first megawatt-scale, 100% renewable-sourced fuel cell power plant at their vehicle processing terminal. As announced in November of last year, Toyota will construct the power plant using FuelCell Energy's Tri-Gen system, which uses bio-waste sourced from California agricultural waste to generate water, electricity, and hydrogen for fuel cell vehicles (FCVs). According to Toyota, the power plant will generate approximately 2.35 megawatts of electricity to power the vehicle processing facility. Toyota also states that the Tri-Gen system can generate up to 1.2 tons of hydrogen per day, which will be used to power FCVs at the port. As previously announced by Toyota, the Tri-Gen fuel cell facility is expected to come online in 2020. Click here for the full article from the Long Beach Press-Telegram. On August 13, FCHEA member Nuvera announced an agreement with Zhejiang Runfeng Hydrogen Engine Co., Ltd. (ZRHE) to manufacture and assemble fuel cell engines for use in Chinese fuel cell vehicles (FCV). The agreement provides a product license to ZHRE to manufacture of 45 kilowatt fuel cell engines, based on Nuvera's current generation fuel cell stack, for sale in China over the next three years. The units are expected to be integrated in transit buses, delivery vehicles, and other transportation platforms in the cities of Ningbo, Hangzhou, Kunming, and Xi’an. The agreement also incorporates a minimum initial purchase volume of 500 fuel cell stacks after successful testing of the engines, with annual minimum purchases increasing throughout the three-year term of the contract. The fuel cell stacks used in these engines will be manufactured by Nuvera, initially at its facility in Billerica, Massachusetts. Click here for the full blog post from Nuvera. 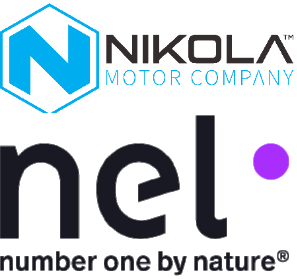 On August 7, Nikola Motor Company announced that it has raised more than $100 million in Series-C funding this month. 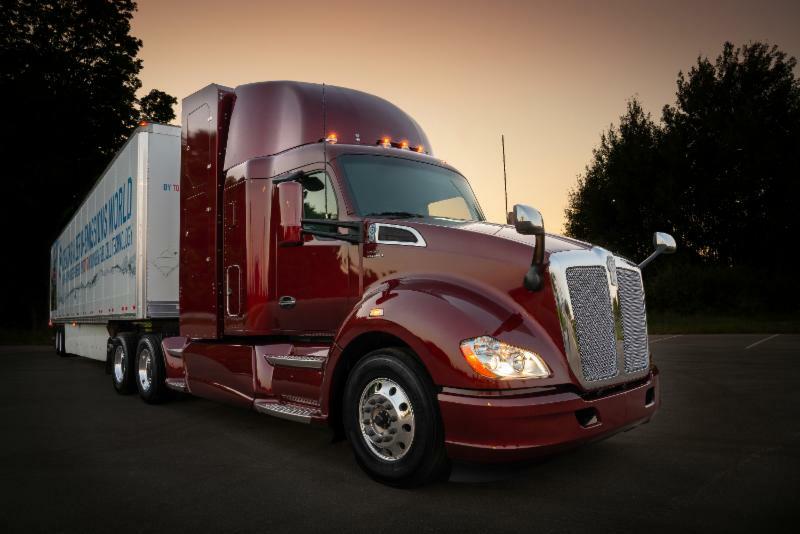 The Phoenix, Arizona-based zero-emissions vehicle manufacturer is developing hydrogen fuel cell-powered Class 8 trucks. Nikola plans to deploy its initial fleet of Nikola One fuel cell trucks on the road in 2020, with full production anticipated to begin the following year. To support those trucks, Nikola is working with FCHEA member Nel Hydrogen to construct more than 700 hydrogen stations across the USA and Canada by 2028, with the first 14 stations planned to launch by 2021. Click here for the full press release from Nikola. 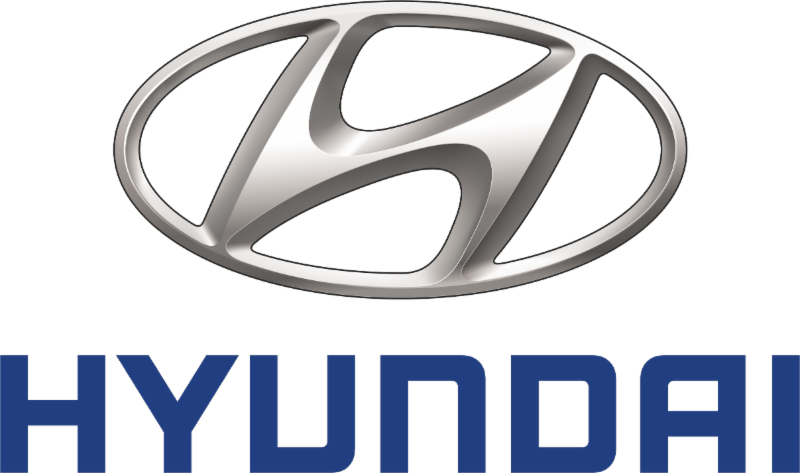 On August 13, The Korea Herald published an interview with Kim Sae-hoon, Vice President of Hyundai Motor’s fuel cell group, on the automaker's ongoing plans to produce commercial hydrogen-powered trucks. In the interview, Kim disclosed that Hyundai is currently developing hydrogen-powered 5-ton garbage trucks for the South Korean government. Details on producing larger fuel cell trucks are still confidential, according to Kim. The interview also includes Kim's support for expanding hydrogen fuel cell power to trains and ships, along with Hyundai's recently-announced fuel cell vehicle partnership with Audi. Click here for the full article from The Korea Herald. On August 9, Air Liquide opened a new retail hydrogen fueling station in Kassel-Lohfelden, Germany. The principal and operator of the station - the fifth in the German state of Hesse - is H2 Mobility, a joint venture between Air Liquide and Shell. The station is strategically located at the Kassel-Mitte intersection of federal motorways 7 and 49, providing fuel cell vehicle (FCV) owners with an additional refueling opportunity between the major German cities of Frankfurt and Hannover. Representatives from Air Liquide, Shell, H2 Mobility, and local politicians at the Kassel station opening. According to H2 Mobility, the station can store up to 200 kg of hydrogen, enough to fill 40 to 50 FCVs per day. The station's total construction costs were approximately 1.4 million euros (about $1.6 million). Of this total, the European Commission's Trans-European Transport Network provided 50% through its Connecting Hydrogen Refueling Stations project. Click here for the full press release from H2 Mobility. Germany's National Organization Hydrogen and Fuel Cell Technology (NOW) recently announced that FCHEA member Linde will construct a new hydrogen station for German bus company Regional Transport Cologne (RVK), in Wermelskirchen, North Rhine-Westphalia. The station will be able to supply enough hydrogen for twenty fuel cell-powered commuter buses per day, and will service thirty fuel cell-battery hybrid buses recently purchased by RVK. Accrding to NOW, the Wermelskirchen station will feature the first deployment of Linde's new hydrogen storage technology, which uses new steady pressure accumulators to supply more hydrogen to vehicles in a shorter amount of time. RVK also signed a contract with a consortium of German companies to construct a second hydrogen station in Meckenheim, North Rhine-Westphalia to serve its fuel cell-hybrid buses. Click here for the full press release from NOW. 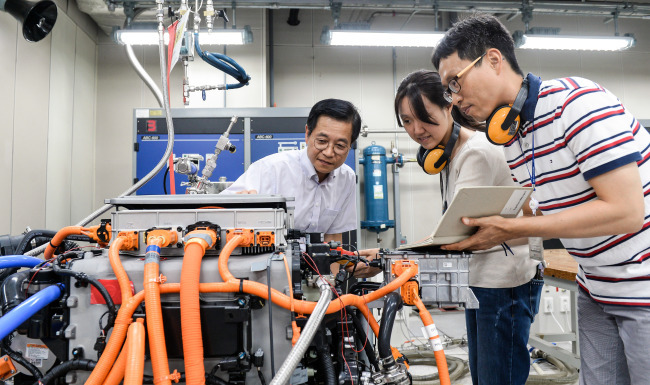 On August 2, Ceres Power announced that it was awarded £7 million (~$9.1 million) from the United Kingdom' s Advanced Propulsion Center to further develop fuel cell vehicle technology for FCHEA member Nissan. Under this project, Nissan will enter a partnership with Ceres Power and The Welding Institute to design, build, test and demonstrate a compact, robust, UK-produced solid oxide fuel cell (SOFC) stack. The stack will then be deployed within a Nissan designed fuel cell module suitable for operation with a variety of high efficiency fuel types, including bio-fuels. In 2016, Nissan ran road tests of an SOFC-powered prototype car fueled by bio-ethanol in Brazil. Click here for the full press release from Ceres Power. On July 26, FuelCell Energy announced a 20 year service agreement with Korea Southern Power Co. (KOSPO) for a recently completed 20 MW fuel cell installation. Eight of FuelCell Energy's SureSource 3000 fuel cell power plants are now providing electricity and thermal energy to support a district heating system adjacent to KOSPO's 1.8 gigawatt Sinincheon combined cycle power plant in Incheon, South Korea. In a statement celebrating the new agreement, Mr. Joo-Mong Choi, General Manager of New Business Development for KOSPO cited the "clean and predictable power generation profile of fuel cells" as consistent with meeting the company's energy objectives. On July 24, the South Korean government committed to helping the deployment of 1,000 hydrogen fuel cell-powered buses on roads throughout the country by 2022. Paik Un-gyu, South Korea's Minister of Trade, Industry and Energy, announced that the Ministry will ease regulations on production and transportation of hydrogen buses. 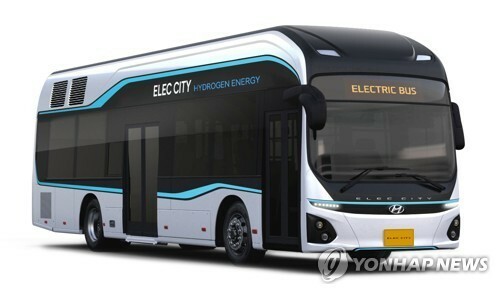 According to The Korea Herald, these measures will include allowing the installation of a natural gas-to-hydrogen reformer system on buses in limited development districts, and increasing the standard of capacity for hydrogen carriers. Minister Paik also announced the development of operational standards to install mobile and fixed refueling stations to help lower the cost of hydrogen fuel. In addition, the Ministry expects 310 hydrogen refueling stations to be installed nationwide by 2022. On July 31, the California Air Resources Board (CARB), an FCHEA member, released the 2018 issue of its Annual Evaluation of Fuel Cell Electric Vehicle Deployment and Hydrogen Fuel Station Network Development as required by the state's 2013 Assembly Bill 8. CARB predicts that in-state fuel cell vehicle deployment will exceed 23,000 cars by 2021, and 47,000 by 2024. The report also includes CARB's analyses and recommendations for new station locations, capacities, and technical capabilities. Click here to access the full Annual Evaluation report from CARB. Click here for access to the full whitepaper to download. On August 17, the Australian Renewable Energy Agency (ARENA) released a report that concludes the country is in a strong position to take advantage of the growing hydrogen export market. The report, prepared for ARENA by ACIL Allen Consulting, identifies opportunities for Australia to export hydrogen to help meet the potential future global demand. According to the report, with the right conditions, Australian hydrogen exports could contribute AUD 1.7 billion (about $1.25 billion) per year to the national economy and provide 2,800 jobs by 2030. The reports also finds that Australia is in a competitive position for potential exports to China, Japan, South Korea, and Singapore due to its location, excellent renewable energy resources, well established energy trading relationships, and experience in large scale energy infrastructure construction. Click here for the full press release from ARENA, which includes a link to download the full report. 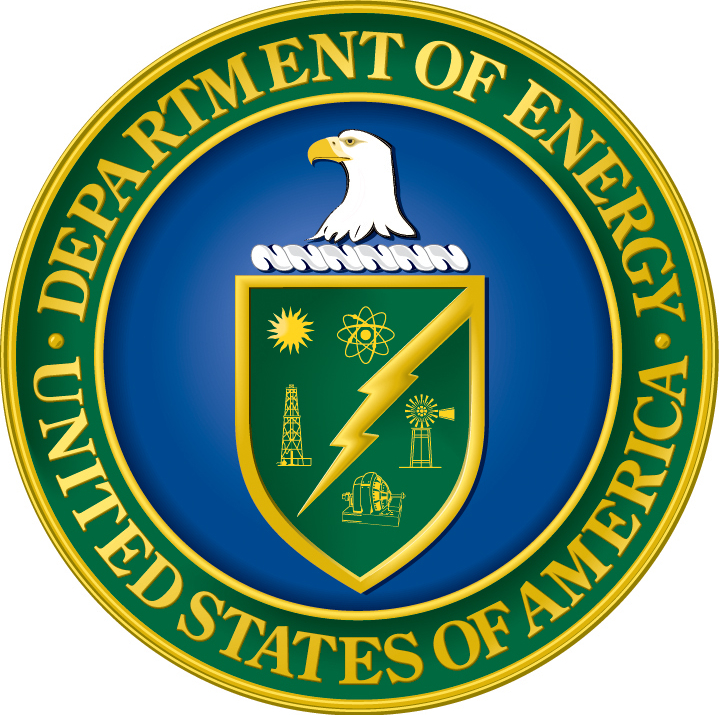 On August 14, United States Secretary of Energy Rick Perry announced the recipients of $38 million in Department of Energy (DOE) to support research and development projects for innovative hydrogen and fuel cell technologies. According to DOE, selections for this investment round focus on key early-stage technical challenges related to non-precious metal catalysts, fuel cell membranes, reversible fuel cells, and electrolyzers to produce hydrogen, as well as innovative concepts to improve efficiency and lower costs of hydrogen vehicle refueling infrastructure. Among the winners were FCHEA members Plug Power and 3M. 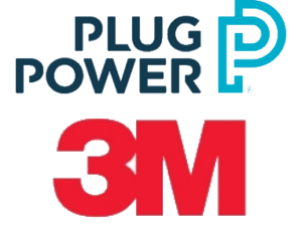 Plug Power received approximately $2 million for an autonomous hydrogen fueling station project, and 3M received $1.86 million to develop low-cost, high performance membranes for proton exchange membrane water electrolyzers. Click here for the full press release from DOE. On August 15, a consortium of hydrogen fuel cell stakeholders in Ohio announced their application for a multi-million-dollar grant from the U.S. Department of Transportation to construct at least 13 hydrogen, electric, and compressed natural gas (CNG) refueling facilities along highways in Ohio and Southern Michigan. The consortium is lead by the Stark Area Regional Transit Authority (SARTA), and includes Love's Travel Stops, CALSTART, Clean Fuels Ohio, and FCHEA member the Ohio Fuel Cell Coalition (OFCC). According to SARTA CEO Kirt Conrad, the consortium members will use the grant money to draft the Midwest States Alternative Fuel Transportation Corridor Action Plan. When completed, the plan will facilitate the creation of a corridor that will make it possible for the owners and operators of battery electric, fuel cell electric and CNG-powered automobiles, trucks, and buses to easily refuel as they travel across the major transportation arteries in Ohio and Michigan. Click here for the full press release from SARTA. On August 20, the U.S. Department of Energy (DOE) Hydrogen and Fuel Cell Technical Advisory Committee (HTAC) announced the appointment of several new members for 2019. The HTAC was established under Section 807 of the Energy Policy Act of 2005 to provide technical and programmatic advice to the Energy Secretary on DOE’s hydrogen research and development goals, strategies, and activities. Marie A. Ffolkes, President, Industrial Gases–Americas, Air Products and Chemicals, Inc.
FCHEA members FuelCell Energy, Plug Power, and Air Products join FCHEA President Morry Markowitz and representatives from FCHEA members Nel Hydrogen/Proton OnSite, the California Air Resources Board, and General Motors on the HTAC, along with sixteen other industry and academic stakeholders. Click here for FuelCell Energy's press release, and click here for Plug Power's press release. 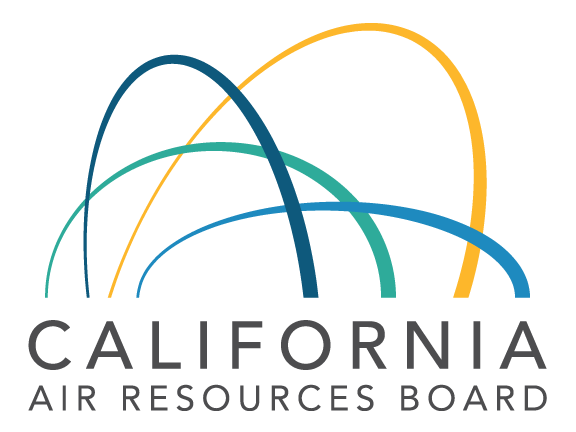 The California Air Resources Board (CARB) and California Fuel Cell Partnership (CaFCP) invite the public to participate in a co-hosted webinar summarizing two recent hydrogen and fuel cell electric vehicle (FCEV) publications. The webinar will focus on current status, near-term evaluation, and long-term vision of public-private efforts to support expanding deployment of FCEVs in California. CARB staff will present findings and special topics discussed in the 2018 Annual Evaluation, including updates on current and projected volumes of vehicles deployed in the state, hydrogen station network development, and needs for future State co-funded development. 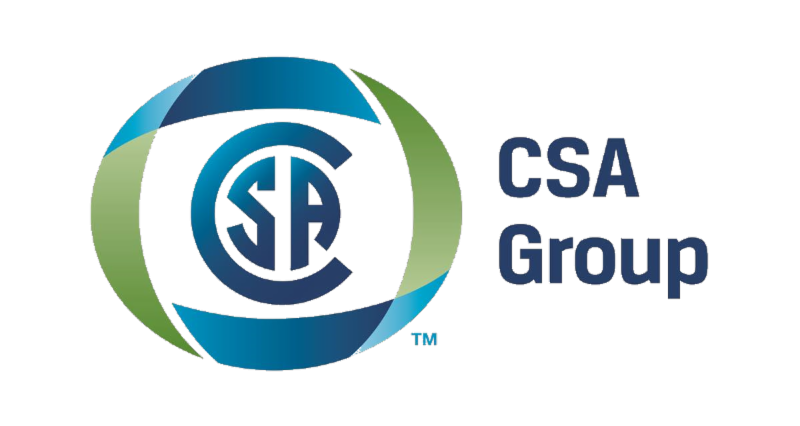 CaFCP will additionally provide an overview of The California Fuel Cell Revolution, which presents its members’ collaborative vision for reaching a sustainable market for fuel cell vehicles and hydrogen by 2030, development of 1,000 hydrogen fueling stations, and enabling deployment of upwards of 1,000,000 FCEVs. Supporting analysis completed with the California Hydrogen Infrastructure Tool will also be discussed. Participation is available via web only. The California Air Resources Board (CARB or Board) will hold a public workshop regarding assessment of a Zero Emission Vehicle Requirement for Public and Private Light- and Heavy-Duty Vehicle Fleets. The Hydrogen Safety Panel (HSP) will conduct training sessions and stakeholder meetings in the Northeast US (NY/NJ, MA, CT/RI) for code officials, fire marshals, project developers, and other interested stakeholders on hydrogen to facilitate the safe and timely deployment of hydrogen and fuel cell technologies, including fuel cell vehicles, hydrogen fueling, and stationary applications. This training session for Connecticut public code officials titled “Hydrogen Safety Training ” has been approved for continuing education credits by the CT Office of Education & Data Management (OEDM). The goal for this meeting is to examine the characteristics of hydrogen, review applicable codes and standards, explore safety considerations, and learn how the HSP can assist the safe and timely deployment of hydrogen and fuel cell technologies, including fuel cell vehicles and stationary applications. Stakeholder engagement and feedback is welcome and appreciated. Larry Moulthrop, HSP member, Proton founder and H2 fueling station/fleet manager. This free workshop is for public officials with authority to protect public health, welfare, and safety and other interested stakeholders. Please RSVP to Paul Aresta by September 11 to paresta@ccat.us. What Do Hydrogen Fuel Cells Mean For The Future Of STEAM? The purpose of this solicitation is to provide grant funding to complete the construction of a publicly accessible hydrogen refueling station capable of on-site hydrogen production and dispensing of at least 100 kilograms of 100 percent renewable hydrogen per day using an on-site electrolyzer. The station is designed and partially constructed and is located at 12600 East End Avenue, Chino, CA 91710. There is up to $791,862 for the agreement resulting from this solicitation. There will be a mandatory pre-application on-site meeting for all parties planning to apply for grant funding through this solicitation. Participation must be in-person. Potential Applicants may be represented by a project team member or authorized representative. The on-site meeting will take place at the Hyundai-Kia America Technical Center, Inc. located at 12600 East End Avenue, Chino, CA 91710. Applicants will be able to evaluate the station layout, inspect and inventory the existing station equipment, and meet Hyundai representatives. Logistics questions regarding the on-site meeting should be directed to Jerome Gregeois, Senior Manager PT Evaluation & Eco Department, Hyundai-Kia America Technical Center, Inc., 909-993-5439 jgregeois@hatci.com. Jerome Gregeois will only take questions regarding onsite meeting logistics and is not authorized to speak on behalf of the Energy Commission regarding the solicitation or other Energy Commission matters. 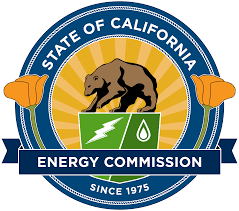 Deadline to Submit Application: October 19, 2018, by 5:00 p.m.
Click here for the full solicitation from the California Energy Commission. On August 9, the Department of Energy's Advanced Research Projects Agency (ARPA-E) issued a funding opportunity announcement (FOA) of up to $35 million for the High Intensity Thermal Exchange through Materials and Manufacturing Processes (HITEMMP) program, to develop new approaches and technologies for the design and manufacture of high temperature, high pressure, and highly compact heat exchangers.